After 15 years, Neil Gaiman and the BBC are revisiting this miniseries with a feature-rich anniversary DVD. So how does the series hold up? From a technical standpoint, pretty poorly, but Gaiman’s twisted tale is still fun once you get used to its outdated look. As the producers and Gaiman recount more than once in the bonus features, they were given a sitcom budget for a fantasy drama, making its overall success and ongoing relevancy all the more remarkable. Gaiman subsequently turned the teleplay into a novel and still holds great fondness for its world as he makes a point of mentioning in the new bonus features here that the movie rights have just recently reverted to him, leaving open the faint possibility that more tales will come in the future. The six-episode series follows an average guy named Richard, an office drone in London with little going for him except for an engagement to another drone he doesn’t seem particularly thrilled about. That lack of passion is immediately obvious when they stumble across a bedraggled young woman on the street and Richard immediately carries her to aid in spite of his fiancee’s protestations that their engagement is over if he walks away. The semi-conscious young woman insists on no hospitals or police, so Richard gallantly takes her home and nurses her back to health. Her name is Door, and she insists that she lives in London Below, upending Richard’s concept of the city and revealing to him a magical underworld thriving beneath the streets of London Above. Well, magical may be overselling it a bit since Below is largely based in grimy sewers and abandoned tube stations, not shiny happy places. Richard quickly learns that London Below is a dangerous land filled with colorful characters like the murderous Mr. Croup and Mr. Vandemar, the arrogant and resourceful Marquis de Carabas, the legendary warrior Hunter, and an actual angel named Islington. Those characters and more expand Richard’s knowledge of the underground and shape him into an adventurous risk-taker who aids Door in her quest to avoid assassins and locate a powerful key for Islington. As with most fish out of water tales, the end game for the story isn’t really whether or not the quest will be successful but whether Richard will choose to return to the average life he knows or remain in the hazardous, challenging, but intriguing world he has entered. Due entirely to a BBC decree at the time of production, the series was unfortunately shot on video instead of film even though, as Gaiman recounts, the costs were virtually the same. This was also pre-widescreen days, so we’re left with a 4:3 video image that makes the series look more like ‘70s Doctor Who than even a comparable dramatic sci-fi series of its era such as The X-Files. The series has been remastered for this release, which isn't especially obvious aside from some possibly better contrast most noticeable in darker shades of black. Special effects and sets are nearly non-existent, but thankfully the creative team located suitably creepy locations in the real London below that adequately sell the idea of the mysterious, otherworldly setting of the show. 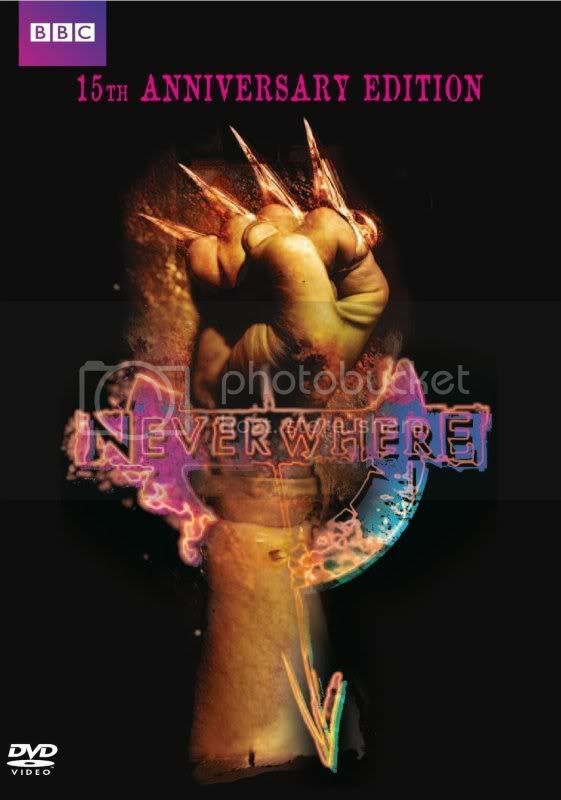 Gaiman got assists from long-time collaborator Dave McKean for the show’s Sandman-esque title sequence and electronic music pioneer Brian Eno for the eerie, discordant soundtrack, two perfect choices that greatly enhanced the final product. The new DVD includes the bonus features from the original release such as an interview with Gaiman and his commentary track, along with a new retrospective interview and commentary track with Gaiman and the producers. 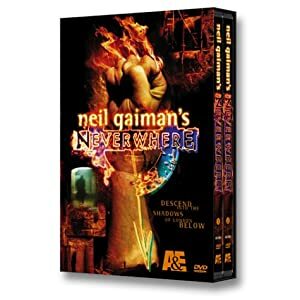 Neverwhere 15th Anniversary is available on DVD on Tuesday, November 15th. great review as always steve ! How exciting! I love the book, but I've only seen bits and pieces of the series on YouTube. I'm definitely going to have to jump on this.